Healthcare professionals should involve people with type 2 diabetes in decisions about their care such as managing blood glucose levels, NICE says in updated guidelines that stress the need for individualising care for people with type 2 diabetes, and include new recommendations on managing blood glucose, effective drug treatments and lifestyle interventions. The vast majority of people who have diabetes have type 2 diabetes, a form of the condition that tends to appear in people over 40, but that is increasingly being seen in younger people due to rising obesity levels. The condition is also common among people from people from African, African Caribbean and South Asian family origins. It can result in blindness, kidney failure, premature heart disease stroke and death if not effectively managed. In an update to existing guidelines, NICE has developed new recommendations on which provide clarity on the sequence of drug treatments that can be offered. The guideline also includes an algorithm to help healthcare professionals make decisions on the most appropriate pathway of care. The new guideline is underpinned by a recommendation which says healthcare professionals should adopt an individualised approach to diabetes care that is tailored to the needs and circumstances of adults with the condition. 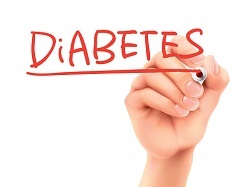 The guideline also recommends offering structure education to adults with type 2 diabetes and their family or carers around the time of diagnosis. A full list of recommended components is included. Changes to lifestyle such as increasing physical activity and losing weight to achieve a health body mass index are known to be effective at reducing the risk of type 2 diabetes. As a result, NICE recommends offering lifestyle advice and drug treatment to support adults with type 2 diabetes to achieve and maintain their HbA1c target. 6-monthly intervals once the HbA1c level and blood glucose lowering therapy are stable. NICE says that standard-release metformin should be offered as the initial drug treatment for adults with type 2 diabetes. The dose should be gradually increased over several weeks to minimise the risk of gastrointestinal side effects in adults with type 2 diabetes. If the person experiences gastrointestinal side effects with standard-release metformin, then a trial of modified-release metformin should be considered. The guideline also includes an algorithm to help with this most effect guideline includes an algorithm for blood glucose lowering therapy in adults with type 2 diabetes. Dr Amanda Adler, consultant diabetologist and member of the NICE guideline development group, said: “This update to the guideline for type 2 diabetes is good news for people with type 2 diabetes and for health professionals given the many therapies now available. The guideline comprehensively covers the best care for patients with type 2 diabetes taking into account effectiveness of medications, enhancing quality of life, and wisely using NHS resources."